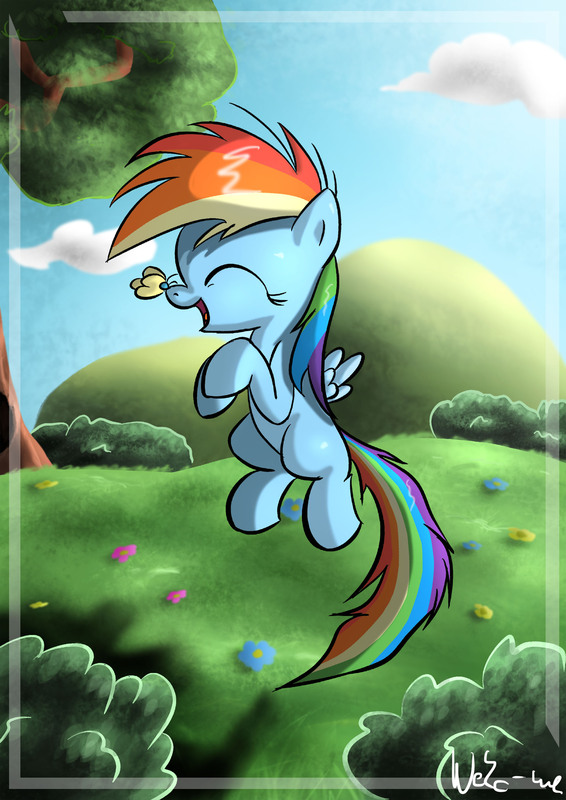 Dashie loves butterflies. She just has a hard time to accept that. Yeah that butterfly migration reference was another proof in the series. XD Best way to go. It's okay, Dash. Butterflies are cool too, y'know.